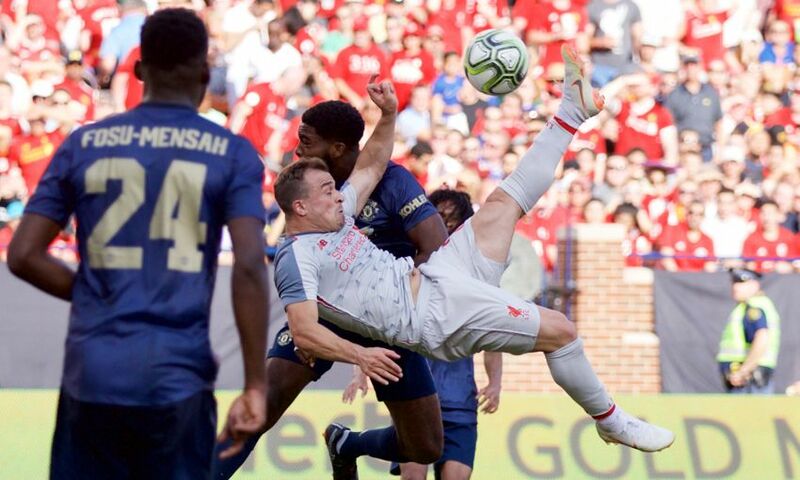 Xherdan Shaqiri marked his first Liverpool appearance with a sensational overhead kick against Manchester United – watch it from every angle on LFCTV GO. The forward was introduced at half-time in the International Champions Cup tie at Michigan Stadium and impressed throughout his 45-minute outing. And the highlight of Shaqiri’s display was the brilliant acrobatic finish he produced from Ben Woodburn’s cross to seal a 4-1 victory for the Reds. Watch the strike from every available angle below.